Sirajuddin Haqqani is the operational commander of the Haqqani network, and now reportedly the deputy emir of the Taliban. After the death of Mullah Omar was reported in July 2015, Sirajuddin Haqqani was elevated to the second spot in the Taliban leadership under its new emir, Mullah Akhtar Mohammad Mansour. “Taliban confirms death of Mullah Omar, names new leader,” France 24, July 30, 2015, http://www.france24.com/en/20150730-taliban-confrms-death-omar-names-new-leaderafghanistan- mansour. Sirajuddin Haqqani’s father Jalaluddin Haqqani founded the Haqqani network in the 1970s. The group gained momentum during the anti-Soviet jihad in Afghanistan during the 1980s. Jeffrey A. Dressler, “The Haqqani Network: From Pakistan to Afghanistan,” Institute for the Study of War, October 2010, http://www.understandingwar.org/sites/default/files/Haqqani_Network_0.pdf; “The Haqqani Nexus and the Evolution of al-Qa’ida,” The Combatting Terrorism Center at West Point, July 14, 2011, https://www.ctc.usma.edu/wp-content/uploads/2011/07/CTC-Haqqani-Report_Rassler-Brown-Final_Web.pdf. The Haqqanis are of the Pashtun Zadran tribe, based predominantly in the Paktia and Khost provinces in eastern Afghanistan. Jeffrey A. Dressler, “The Haqqani Network: From Pakistan to Afghanistan,” Institute for the Study of War, October 2010, http://www.understandingwar.org/sites/default/files/Haqqani_Network_0.pdf. 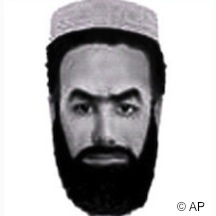 Sirajuddin is wanted by the U.S. State Department and the FBI “Seeking Information Sirajuddin Haqqani,” Federal Bureau of Investigation, accessed on March 12, 2015, http://www.fbi.gov/wanted/terrorinfo/sirajuddin-haqqani/view. for planning a 2008 attack on a hotel in Kabul that killed six people including American citizen Thor David Hesla. “Wanted: Information That Brings to Justice Sirajuddin Haqqani,” Reward for Justice, U.S. Department of State, accessed March 12, 2015, http://www.rewardsforjustice.net/english/sirajuddin_haqqani.html. The U.S. Department of the Treasury designated Sirajuddin as a Specially Designated Terrorist under Executive Order 13224 on March 11, 2008. Bureau of Counterterrorism, “Individuals and Entities Designated by the State Department Under E.O. 13224,” U.S. Department of State, http://go.usa.gov/3qkES. Siraj Haqqani “Seeking Information Sirajuddin Haqqani,” Federal Bureau of Investigation, accessed on March 12, 2015, http://www.fbi.gov/wanted/terrorinfo/sirajuddin-haqqani/view. The U.S. Department of the Treasury designated Sirajuddin Haqqani as a Specially Designated Terrorist under Executive Order 13224 on March 11, 2008.Bureau of Counterterrorism, “Individuals and Entities Designated by the State Department Under E.O. 13224,” U.S. Department of State, http://go.usa.gov/3qkES. The U.S. State Department’s Rewards for Justice Program is offering reward of up to $5 million for information leading to Sirajuddin Haqqani’s arrest. Gordon Duguid, “Rewards for Justice: Sirajuddin Haqqani,” U.S. Department of State Press Statement, March 25, 2009, http://www.state.gov/r/pa/prs/ps/2009/03/120864.htm. The United Nations Security Council Committee listed Sirajuddin “Jallaloudine” Haqqani pursuant to resolution 1988 (2011) on September 13, 2007. “Narrative Summaries of Reasons for Listing: TE.H.12.12. Haqqani Network,” Security Council Committee established pursuant to resolution 1988 (2011), November 5, 2012, http://www.un.org/sc/committees/1988/NSTE01212E.shtml. Sirajuddin Haqqani is the operational commander of the Haqqani network, and now reportedly the deputy emir of the Taliban. mansour.